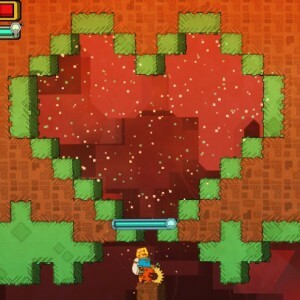 PixelJunk‘s Nom Nom Galaxy is a hard game. It’s a well-crafted resource-gathering and automation game in the vein of Terraria or Minecraft, but with a focus on factory production and automation. It’s hard because it’s far too complicated. One of the classic problems of game design is the dominant strategy. A dominant strategy occurs when one way to play the game is so much better that it becomes the only option a player should pursue. The simple solution to a dominant strategy is to add a complicating factor that acts as a tradeoff, weakening the strategy and leading to interesting player decisions. Nom Nom Galaxy, however, goes through this cycle a few too many times. Dominant strategies are complicated by challenges that can be overcome with strategies that are further complicated by new challenges. The end result is a frantic, frustrating time that keeps me from experiencing the joy of mastery. When Odin Sphere was released, it was a game from a parallel dimension where 3D technology never caught on. Now, though, it sits among Rayman Origins, Dust: an Elysian Tale, Ori And The Blind Forest, and many others in presenting gorgeous living, breathing, hand-crafted art and a strong visual aesthetic. 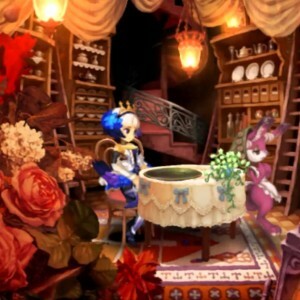 Looking back, then, there’s one thing I remember about Odin Sphere. In my patron-sponsored post on Minecraft I talked about the philosophy of Minecraft mods and play in general, but I didn’t go much into the actual rules or design of the factory and automation play in those mods. I’ve abandoned the “FTB Resurrection” modpack in favor of “FTB Infinity” (GregTech is just too vague and cruel). This has actually let me get into some limited automation, which has been interesting.